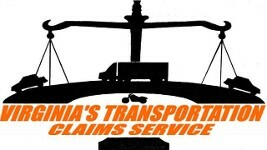 Virginia's Transportation Claims Service serves the entire state of Virginia to provide our clients an independent/unbiased source for automobile specialty value studies and claim information including education and documentation services. We have more than 32 years of experience in the Vehicular Specialty Appraisal Industry. We are professional Vehicle Appraisers who will provide you with the documentation and experience you need. Total Loss, Market Evaluation Reports, Diminished Value Claims, Classic-Antique-Exotic Appraisals. Misrepresented Vehicle Sales/Purchases, Fraud and Lemon Claims, Divorce/Estate Settlements etc. In Virginia, You deserve to be restored and made whole of your loss. $7,150.00 based from the Diminished Value Claim Report Packet that Virginia's Transportation Claims Service had submitted on my behalf. I truly believe if I had not learned from my neighbor of your service I would have never received the compensation that the insurance company at first said they didn't owe. I will recommend your service to all my friends, family and associates. (2) My vehicle was rear ended and had over $1,800.00 in damages. The accident was not my fault and the repair shop did an outstanding job with the repairs. I learned of Diminished Value by locating your company thru a co-worker who had experienced similar circumstances before and had settled his claim thru your Diminished Value Service. No one mentioned DV to me during the whole claims process. I decided to ask the insurance company if they would pay DV and they ask me to take my vehicle to 3 dealers and obtain value reports. 2 of the dealers I spoke with referred me back to your company and said that's what Virginia's Transportation Claims Service specializes in. The other dealer gave me a statement showing my "Trade in Value" if damage history and another without damage history and verbally told me they're in business to by vehicles at wholesale or trade-in values the resale them and that they don't really do Diminished Value Reports. I was more confused than before so I hired Virginia's Transportation Claims Service after they provided me a free written quote/commitment letter stating how their service would assist me including a DV loss projected range amount including their fee structure. Thank you Virginia's Transportation Claims Service, after your VTC/Rep inspected my vehicle your Report showed an accurate study and measure of my vehicles Diminished Value loss based from your experience. Thank you for clearing up the confusion I had about why the insurance company had said I needed to try to sale my vehicle to obtain my Diminished Value loss which I felt was not a part of making my vehicle restored and made whole as close as possible with-in reasonable expectations. Virginia's Transportation Claims Service did an outstanding job negotiating my settlement of more than $5,700.00 which was over and above the amount that was paid for the repair cost.